Saree is undoubtedly the most typifying attire for Indian women. An inseparable part of the Indian heritage, sari is a show stopper and hot favorite apparel for the fashion-forward women of today. The traditional nine-yard-long drape is flaunted with fervor and charisma by women of all age groups. 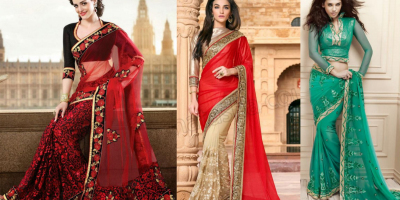 The top saree styles 2016 will make you look even more graceful, gorgeous, and charismatic. What more do you expect from a stunning drape? Show off your curves in a ravishing saree designed in an eye-popping color, which is no less than a real treat to eyes. There are plenty of prints, fabrics, patterns, and designs to choose from. Ever imagined saree as a gown? Well, saree gown typifies the fusion of tradition and modernity.With a simple yet attractive design, this unique saree style is weaved in the form of a gown, so you can easily wrap it around and carry yourself with grace. A highly trending saree style in 2016, saree gownis a no-hassle outfit that has gained widespread appeal among Bollywood celebrities of the likes of ShilpaShetty and SonamKapoor. Saree gowns top the list of the 2016 saree styles for Indian women for its sheer elegance, sophistication, and simplicity. Add a spell of elegance to your ever-charming looks in this half-and-half saree.A highly trending draping outfit among the modern Indian women, half-and-half saree is amodern take on the classic sareestyle. The apparel is not restricted to specific designs and comes in an array of patterns that will amp up your style. A definite favorite for 2016, half-and-half saree looks a classic modern attire with a widespread global appeal since its appearance in two popular Bollywood movies, including Two States and Chennai Express. Contrasting patterns and colors complete the elaborate look. Among different saree styles, lace is one of the classiest materials to drape yourself in. It adds aesthetic appeal to any outfit and a glam look to the wearer. With its timeless appeal and plenty of design patterns, it will never leave the trend circuit. 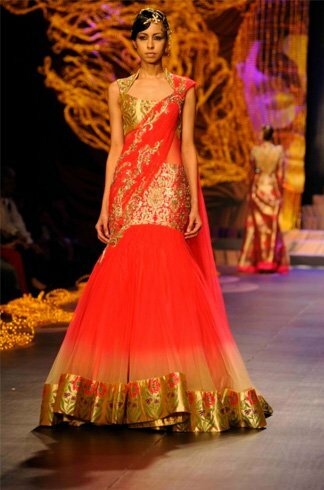 Adorn a royal look in a lace saree and you are almost perfect to look red carpet ready. An extremely popular detailing pattern for the modern woman of today, the intricate lace designs create a sophisticated look. Nothing flatters your curves like an elegant and graceful lace saree. Match the lace designed saree with a flattering patterned or floral blouse to compliment the soft lace texture and balance your overall look. A modern day must-have, Benarasisaree has a timeless appeal that needs no introduction. A Benarasisaree is a dream outfit for the Indian women, including the modern fashionistas. Loved for its intricate detailing and lavish brocades, the world famous Benarasifabric has widespread appeal among the young generation as well as with their mothers and grandmothers, bringing ultimate grace to a woman. Traditional Benarasi silk designs are characterized by elaborate brocades, fine zari work along borders, and floral motifs. Modern day designs are a fusion of tradition and modernity so much so that the ensemble is at the top of every fashionista’s mind. Among the new saree styles of 2016 is the sheer net saree that adorns your personality. An increasingly popular option for the 21st century woman, this style of net saree is lightweight and easy to carry yourself around. Add a chic look to your wardrobe with this designer saree, with transparent net material that adds a hint of sensuality and natural glitz to your outfit. Get set to become a show-stopper draped in a sheer net saree, for this ensemble promises to create an ethereally feminine look and turn heads. Radiate with beauty in a lehengacholi style saree, a more popular option for the modern woman that loves lightweight yet graceful saree to adorn their looks. An equally popular choice of brides for engagements, lehengasarees are a definite addition to your ensemble if you are looking to make a style statement. Look royal in this ready-to-wear designer saree that exudes elegance and grace and will give you the perfect look of a show stopper. Sareesare no longer fully translucent or sheer. A combination of both works wonders on your looks. The trending design ofsheer and opaque combination is always appealing, adding an artistic touch to your looks. 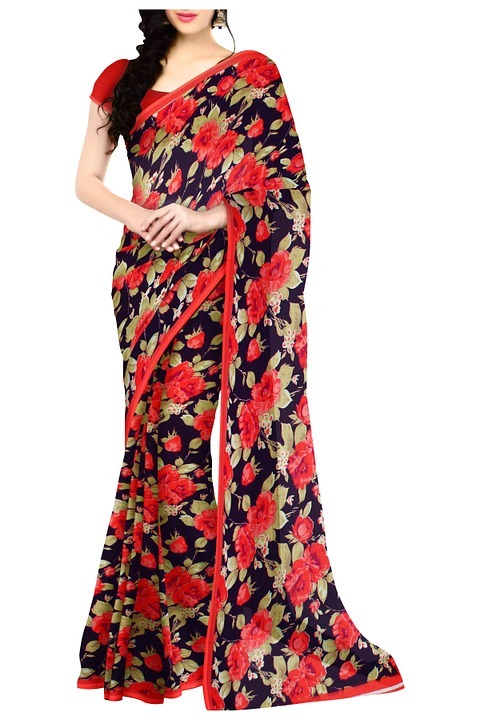 If you are looking for a light, modern, and easy-to-wear drape, pop printed saree has a personality that rocks with its fun patterns. Look graceful and younger and show your casual instinct in a printed sari, which will grace your looks and easy to carry yourself in. As one of the most iconic clothing items around the globe, a saree creates a unique look and enhances your beauty and personality. With a plethora of sari styles for Indian women, you are certainly going to be overwhelmed for choice. 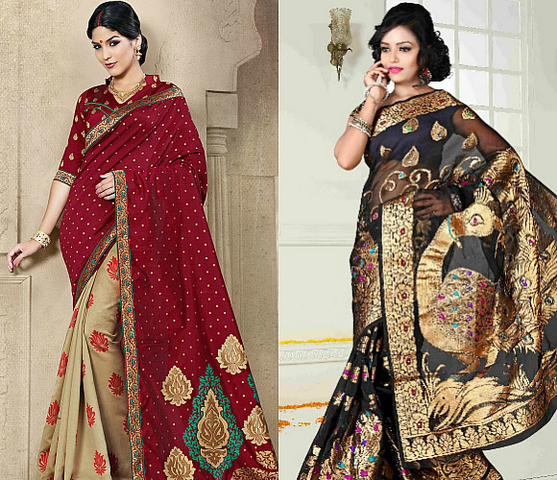 No matter what style you choose to drape around, sarees are the hottest thing in market. 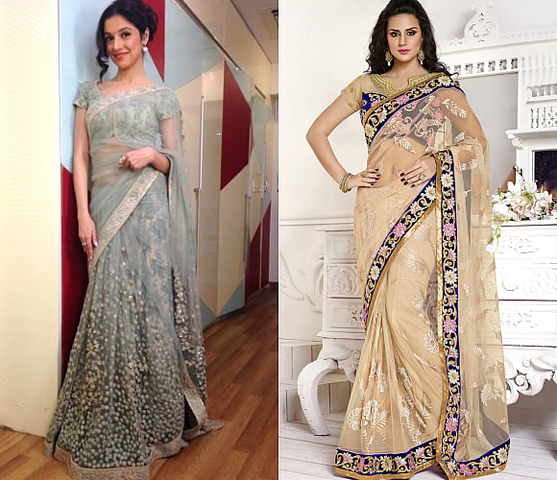 Pick an embellished one for weddings or a sophisticated saree for formal ceremonies andmove with sensuous grace.